Polished strapless mermaid gown. 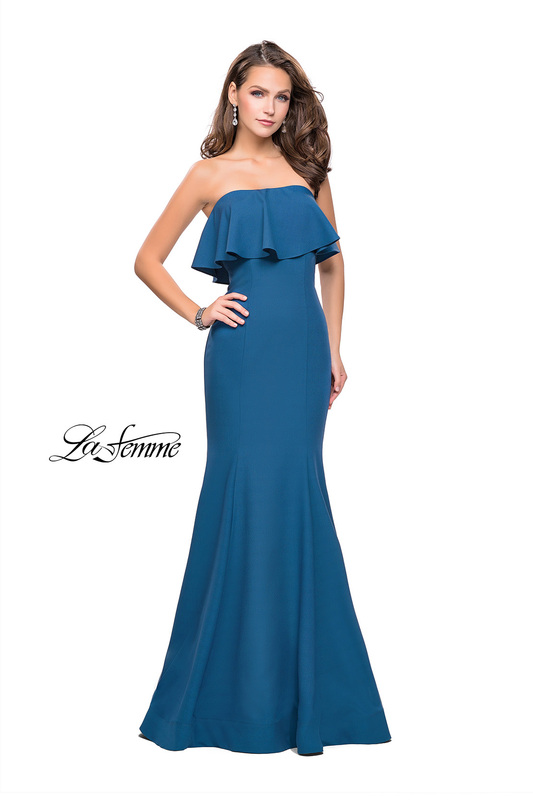 Strapless top features a ruffle detail. Back zipper closure.